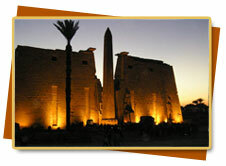 you will be transferred from your hotel in the early morning to Cairo airport for flight to Luxor. Upon arrival at Luxor, you will be met by our representative, and transferred to see Karnak temple, the greatest example for worship in the history, dedicated to God Amon, his wife Mut and their son Khonsu. 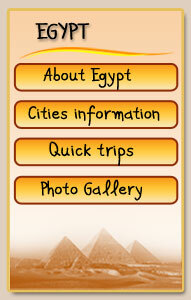 Then pay a visit to Valley of the kings, Valley of the queens, temple of the queen Hatshpsute the only pharaonic woman who reigned ancient Egypt ,drive to the airport and flight back to cairo.